Founded by a team of investment event professionals with a track-record of delivering market-leading investment conferences and exhibitions, 121 Group has honed the investment event model to deliver events that offer superior ROI across multiple sectors. 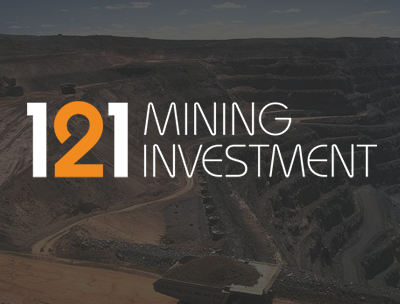 With two-days of 1-on-1 meetings matching projects to investment capital, a conference programme packed with market intelligence and investment ideas, and participation limited to investment professionals and mining executives, 121 Mining Investment offers a highly efficient use of your time and resources. Utilising the tried and tested 121 event format, 121 Oil & Gas Investment provides the ideal forum for oil and gas company management teams to meet 1-2-1 with leading energy funds and oil & gas financiers. Events are built around two days of pre-arranged 1-2-1 meetings alongside a two-day conference programme packed with investor insight panels, analyst market updates and CEO spotlight presentations. 121 Tech Investment connects tech companies from around the world with the tech investment and finance community. Join institutional investors, financiers, analysts and tech company management teams for two days of panels, debate and 1-2-1 meetings to discuss emerging tech trends, investor appetite, investment criteria, financing options and more. The 121 Property Investment Hong Kong event will connect a wide range of international property development companies with leading property funds, investors and financiers from Hong Kong, Greater China and the Asia-Pacific region. The forum is built around a focused and targeted two-day meeting programme, providing a time and resource efficient way for the senior management teams of property development companies to meet with investors in one of the world’s leading property investment hubs and for investors to appraise a wide range of overseas property investment opportunities.